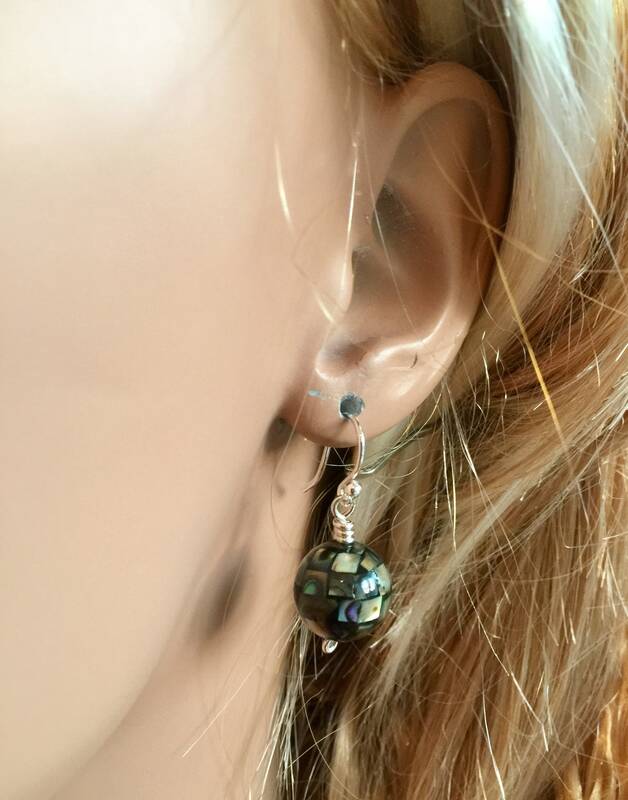 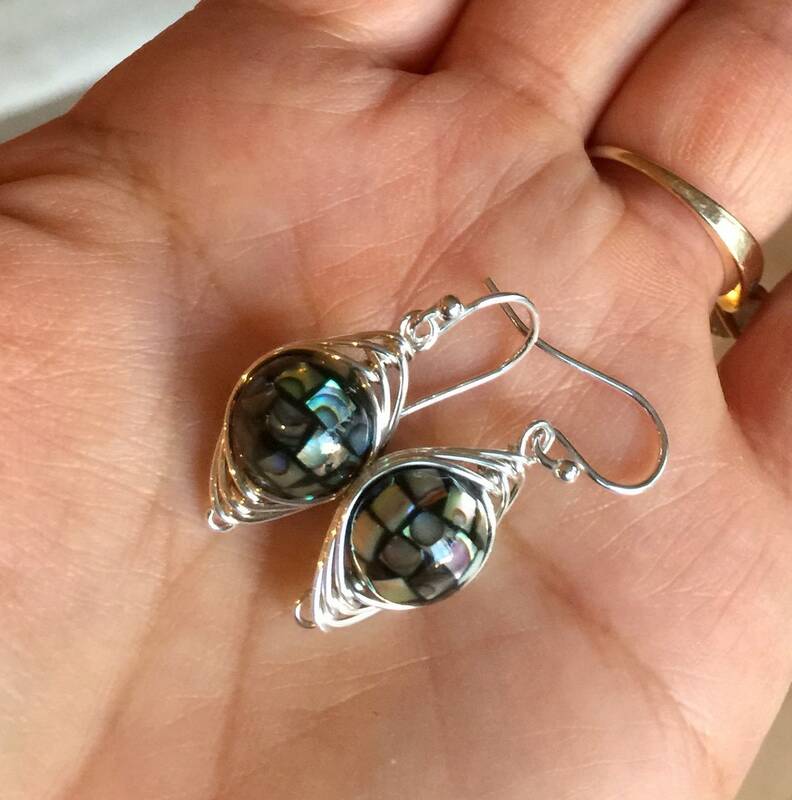 This gorgeous natural rainbow Abalone is wire wrapped with .925 sterling silver wires. 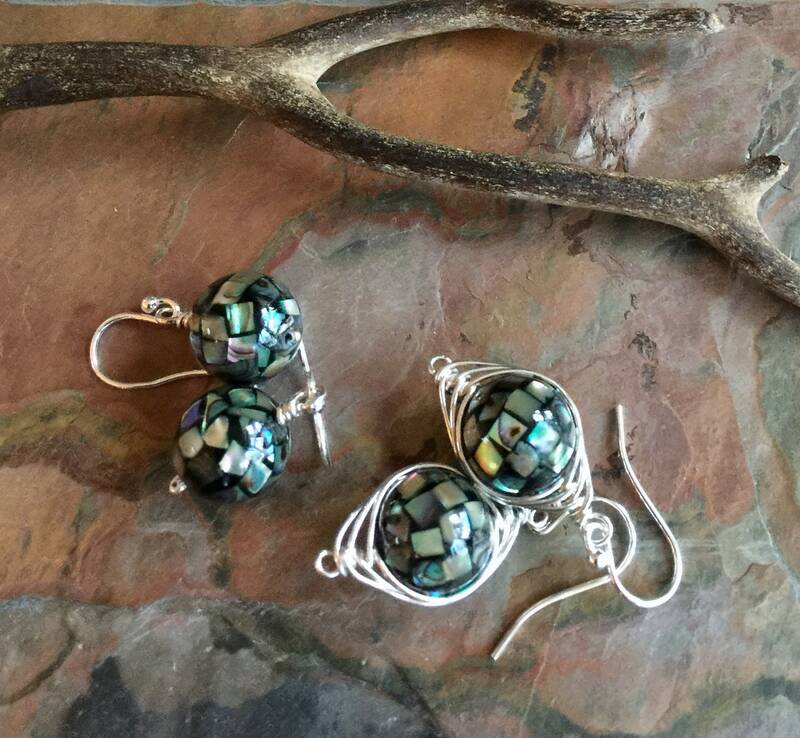 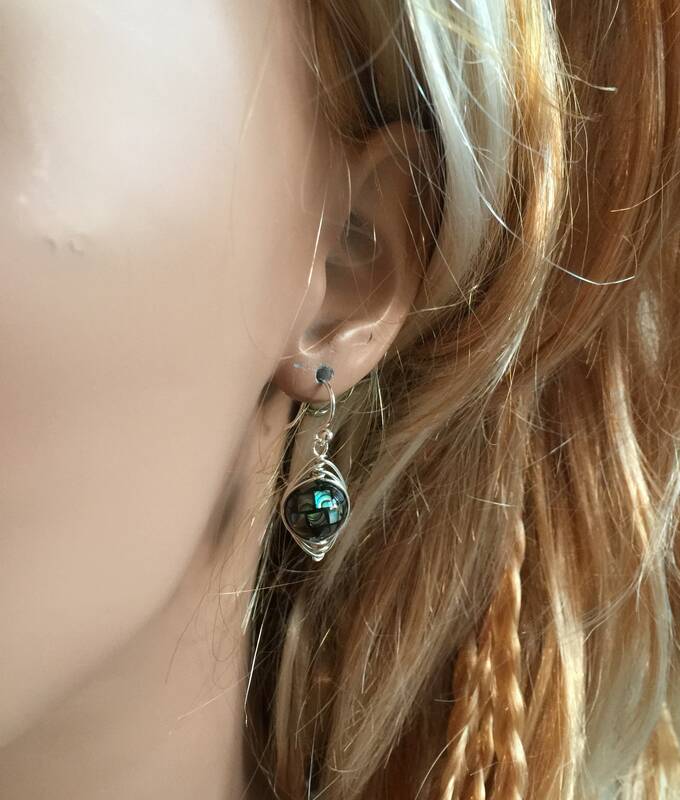 These earrings would go nicely with our Abalone tree of life necklace in sterling silver. 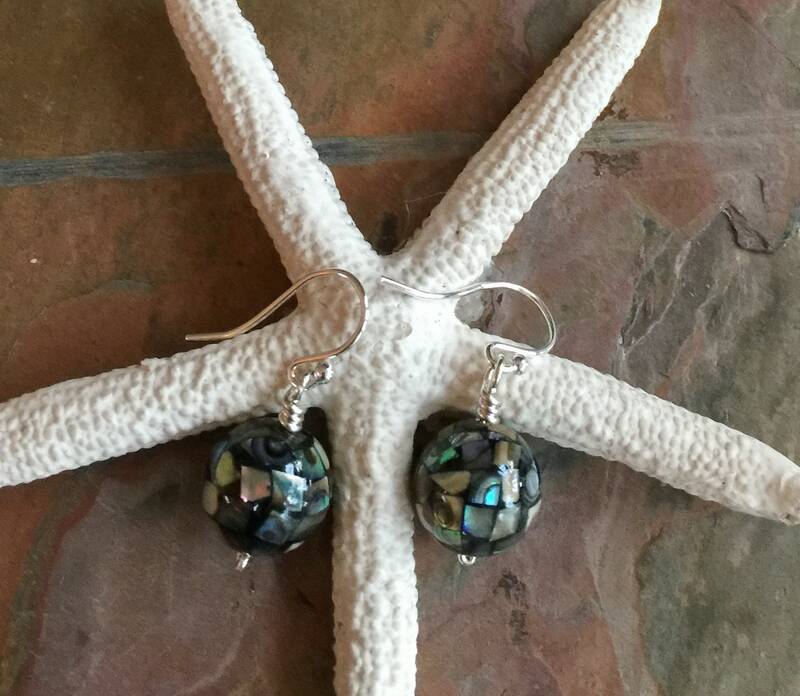 The abalone shell displays beautiful array of iridescent rainbow colors with hints of green, blue and red. 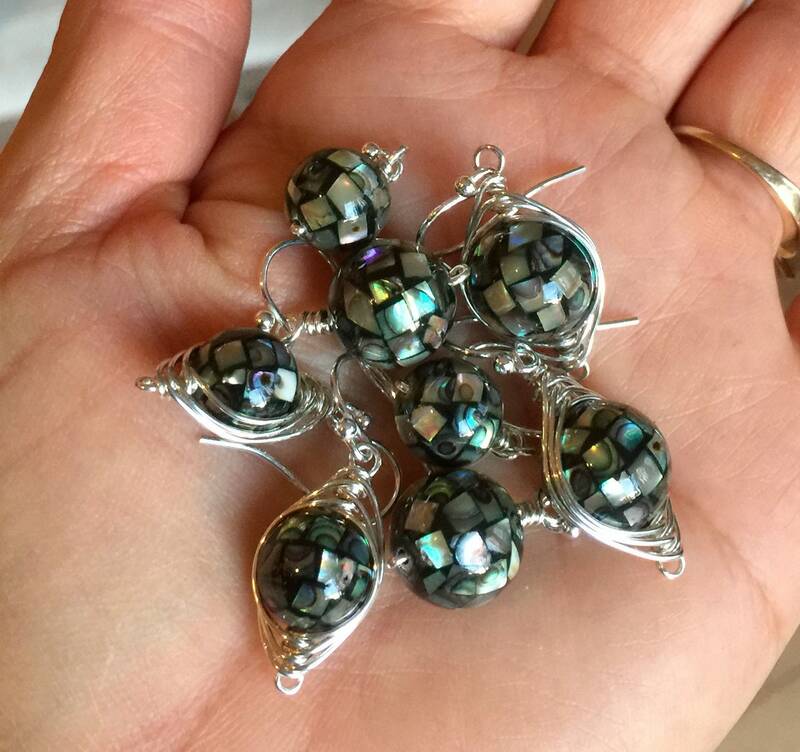 It is also called 'sea opal' I will do my best to choose the gorgeous abalone pendant to fulfill the orders. 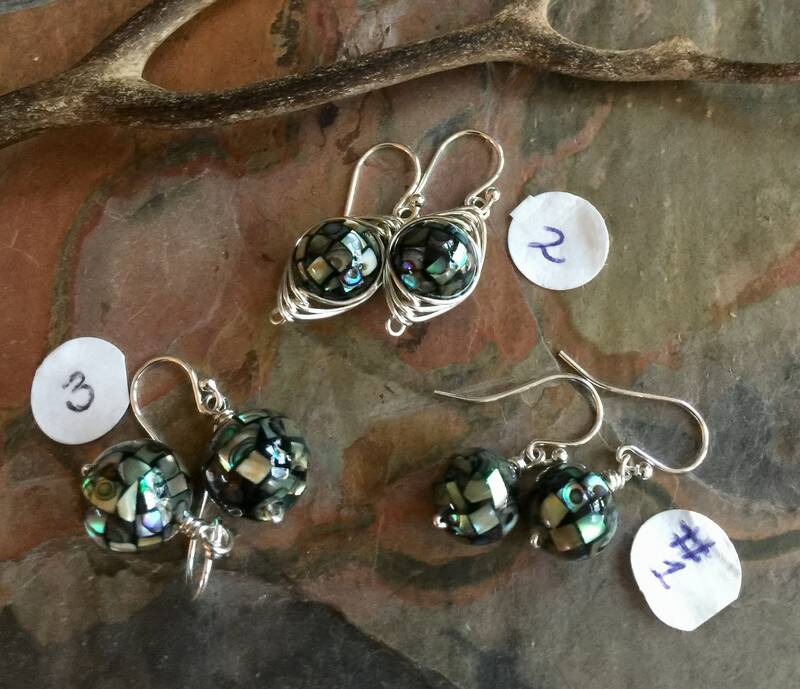 *The finished earrings measures 1/2 inch to 7/8 inch from the bottom of the .925 sterling silver earwires. 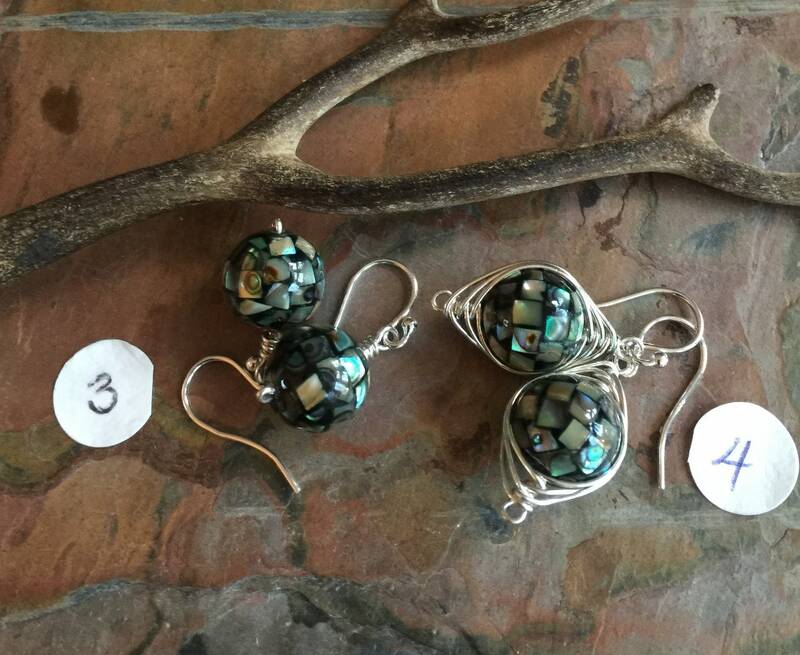 *Each earrings are handmade, so please allow slight variations from the colors.